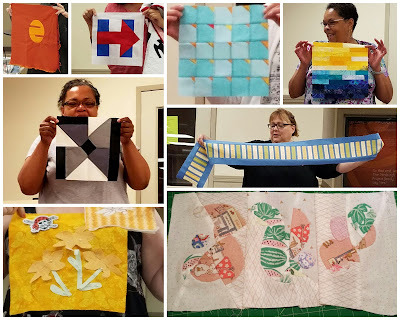 There was SO much going on in July! We had QuiltCon charity blocks, Inspiration Challenge blocks, our mini swap with the Capital Area Modern Quilt Guild and more. Let's start with some updates, shall we? 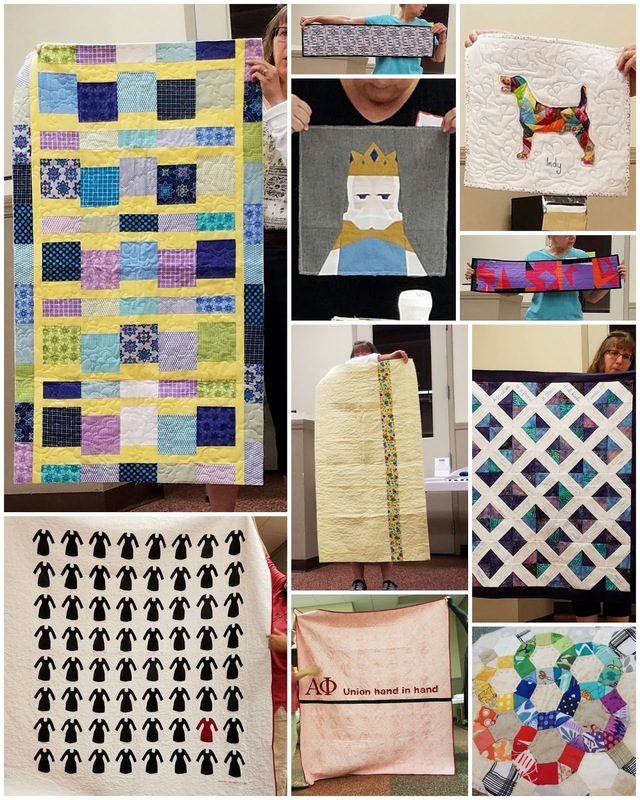 The #PAMQGMiniSwap is almost over! Make sure your mini and whatever else you are sending is in the mail and received by Labor Day. Can't wait to see them! 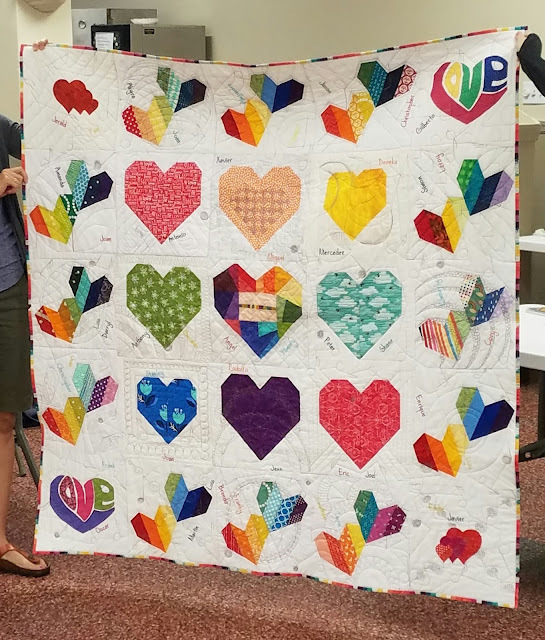 If you completed a QuiltCon background block, thank you! The rest of the packets were picked up. They are due at the September meeting. We are having a QuiltCon Sew Day at The Quilt Company on September 24, 2016. An eVite went out, so please RSVP! Bring any size bias tape makers you might have. It appears we have a conflict for the weekend retreat we have planned for next spring. Please note that the Pittsburgh Knit & Crochet festival is the same weekend as our getaway. It is March 24-26, 2016, so please be aware of that if you are intending to attend both. Nikki Maroon, member-extraordinaire, will be leading a workshop on FMQ on your home machine on October 22, 2016, from 9-4, at the The Quilt Company. It will be an Eventbrite event, and more details will be available when it it posted. Members will cost only $20, but space is limited. If there is room, non-members can attend for $60. Speaking of members, your membership needs renewed ASAP. The cost is $40 and you can pay here on the website through PayPal or contact our treasurer. If you aren't paid up by September 1st, you will be removed from the Modern Quilt Guild's rosters! Our quilt for Orlando is complete and will be on its way this week. Thank you to everyone who participated. 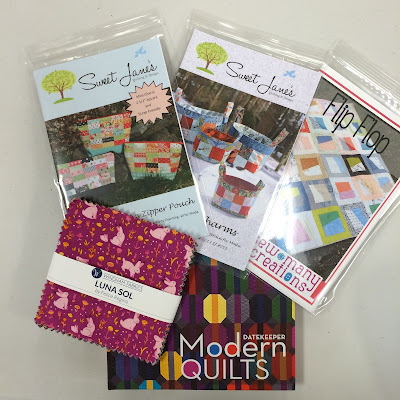 You use specific tools for quilting. The same goes for drafting. Pick up a protractor, a good quality drafting compass, erasers that don't leave a pile of rubbings when used and a mechanical pencil. Graph paper is essential, but calculators, colored pencil or markers, rulers, templates and low tack tape (like blue painters tape) make the job that much easier. Assess the design that you want to work on. How can it be broken down? It is essentially a fancy nine-patch block? Is it a block that can be constructed from strips? Find the underlying grid for your design. Recreate the design on your graph paper according to the dimensions you desire, Assign a value to each of your graph paper's squares and stick to that throughout the block. Determine a complementary value, i.e. for a 12" block comprised of a 4x4 grid, each square is 3"... Make sense? Once your design is at full scale, meaning the drawing is same size as you intend the block to be in real life, you can make your templates. B says "Templates are essentially pattern pieces with seam allowances added." For those squares in the example above, the measurements would be a 4 1/2" template. Of course, we wouldn't leave you with just those instructions! Another awesome handout was prepared and you can find that here. Good luck! 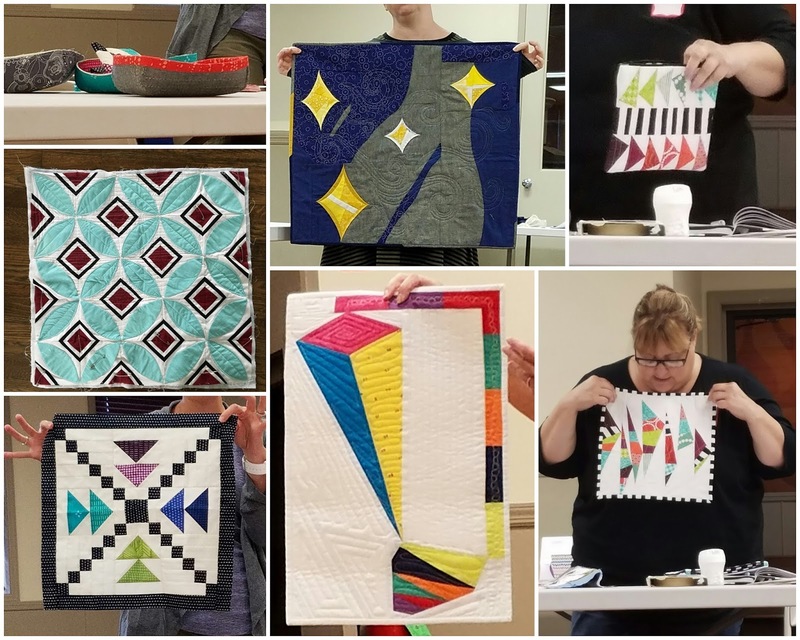 Our next meeting will be about basic skills and preparing your quilt for the longarm. It will be on September 11, 2016, at the Pittsburgh Project.